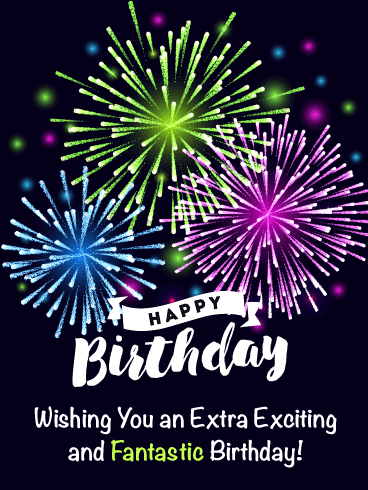 Happy Birthday - Wishing you a spectacular birthday celebration! 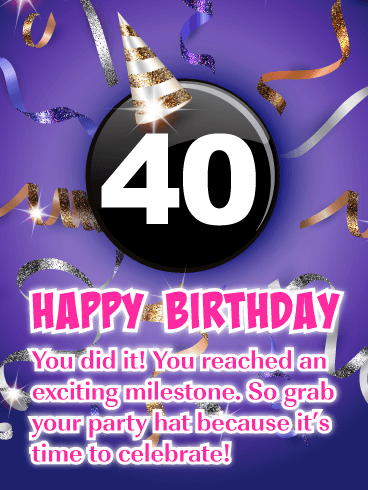 If someone you know is turning 40 and you want to honor their big milestone in a special way, then you are in luck! 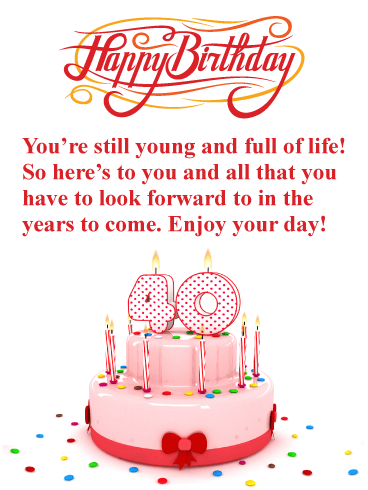 This incredible happy birthday card will make their birthday extra special and let them know you are thinking of them! 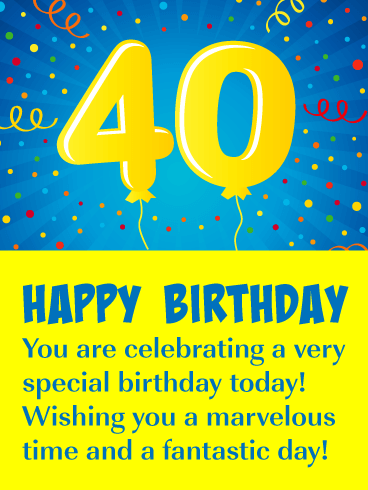 The number 40 looks fantastic in yellow and purple and the birthday streamers only add to the excitement. 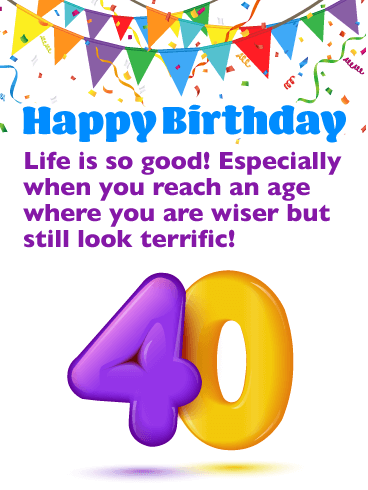 Let this person know that life if good at age 40 and that they are considered a wiser person now that they have reached this great milestone! 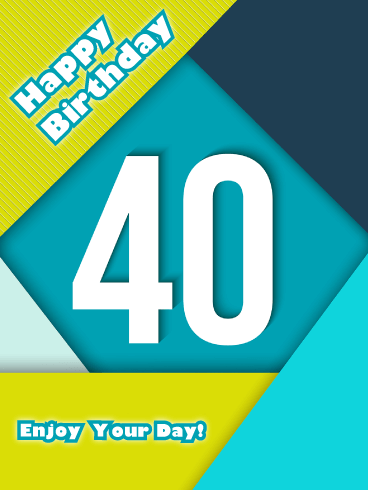 This stylish birthday card features fun green and blue shapes that frame the number 40 in honor of this special milestone birthday! 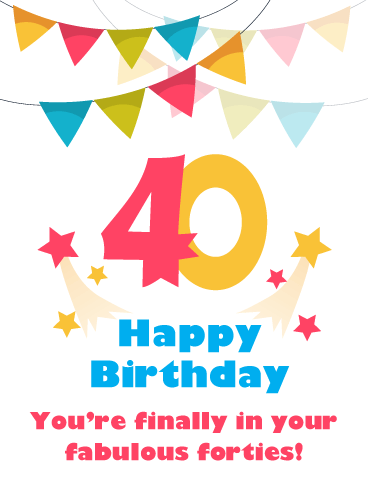 The person you know who has reached this milestone will love that you sent such a creative greeting card to wish them a happy birthday. 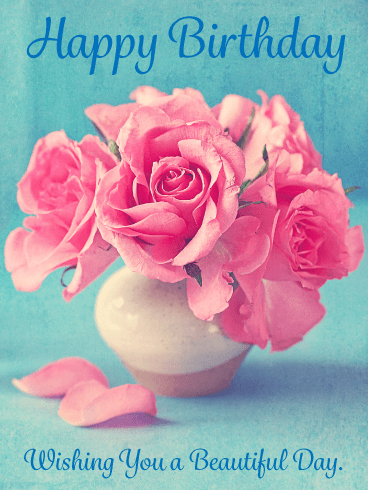 It will make their day even more special. 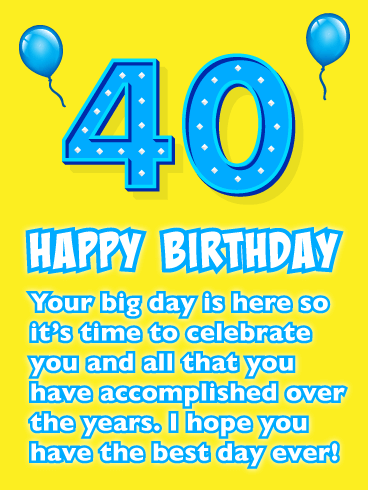 Be sure to remind them to enjoy their big day by getting this colorful 40th birthday card over to them without delay! 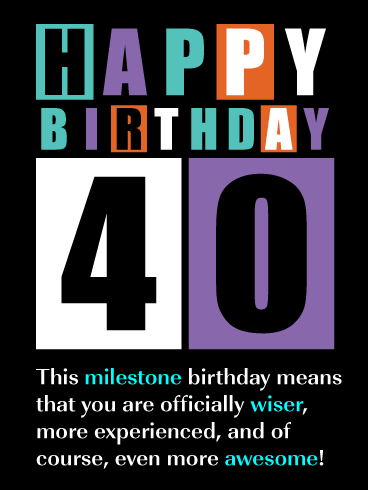 Birthdays are important, but turning 40 is a very special occasion! 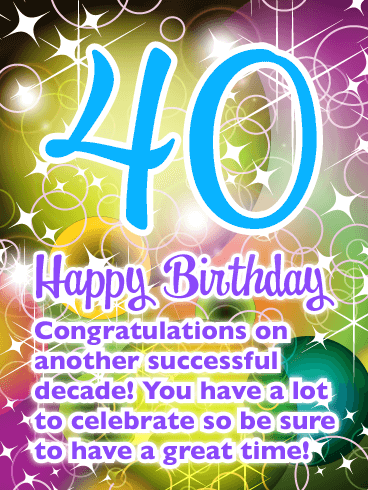 Let your friend or loved one know just how special it really is with this impressive 40th milestone birthday card! It will certainly get them excited about their big day. 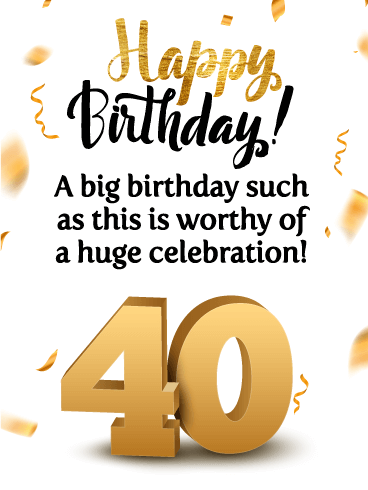 The number 40 takes center stage in this fabulous greeting card and displays a sparkling gold and white birthday party hat, along with glimmering ribbons! 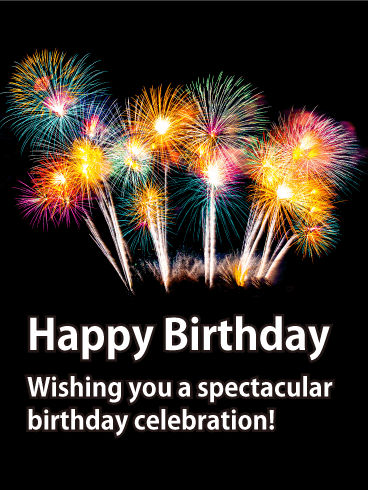 So send wishes for them to have a happy birthday by sending this excellent birthday card without delay!